Well, I’m gleefully happy to be able to say this and I never thought I’d see the day (particularly now that physical media is struggling to stay relevant), but the world renowned home entertainment distributors The Criterion Collection are going to be releasing titles in the UK. 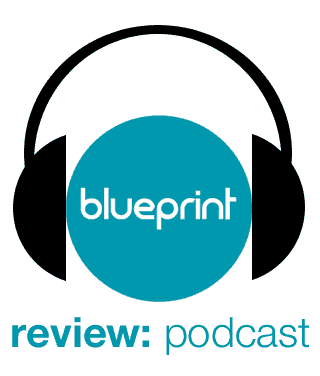 The first wave is upon us this April and Blueprint: Review have been offered the initial releases up for review. The eclectic titles to become available over the next couple of weeks are Grey Gardens (1975), Macbeth (1971), It Happened One Night (1934), Speedy (1928), Tootsie (1982) and Only Angels Have Wings (1939). Now I was very tempted to review every single one of them, but family and other review commitments forced me to take just one, so I went for the highly acclaimed Maysles brothers documentary Grey Gardens, as it’s a classic title I’ve never seen and I do love a good documentary, as regular readers will know. Jim Whalley will be reviewing It Happened One Night and Tootsie at some point soon too. Anyway, enough gushing over the exciting news and on to the film at hand. Grey Gardens is a ‘fly on the wall’ look at the lives of mother and daughter Big and Little Edie Beale, two former members of high society and cousins of Jackie Onassis, who at the time of filming were living in relative poverty in the remains of their derelict mansion in East Hampton, New York. We observe their empty lives as they shuffle around, endlessly bickering and reminiscing about the days when they had wealth and their lives showed promise. It’s very much a character study then, with the Maysles having little interest in building a clear narrative over the course of the documentary or digging into any wider reaching issues being thrown up. We simply watch, bemused, as the ageing couple play to the camera, in some vain hope to rekindle public interest in their ‘talents’. Little Edie is the biggest culprit for this, parading around the mansion in her makeshift outfits, which supposedly have made an impact on the fashion world since, but to me look like a toddler has raided her mother’s wardrobe. Like most documentaries of this ilk then, your mileage with it will depend on your interest in the key subjects. Personally I found them curiously fascinating. Quirky or, to put it more bluntly, utterly bonkers, the pair make for an entertaining watch and I can see why the film has gained a bit of a cult following, due to the unusual quotability of the ladies’ ramblings. Their possible mental health problems when matched with their present living situation, which is perfectly embodied by their decaying surroundings, give an air of sadness to proceedings though, so it’s not all fun and games. It provides a dark view of what happens to those shunned from the higher rungs of society with few practical skills to survive in the ‘real world’, as well as examining a strange example of the mother/daughter relationship. The discussion of why Little Edie is still staying at home with her mother often comes up. Does Big Edie need her daughter to look after her or vice versa? However, as fascinatingly odd as the Beales are in the film, I did find the structure a little too loose and rambling to keep me fully engrossed. Even though it’s fairly short, I ended up watching it in two chunks, although this was largely because I was very tired when I started it so struggled to stay awake. The second half seemed to move along more quickly, so maybe I just needed to watch the whole film when I was more alert to stay hooked. In terms of the approach and quality of the filmmaking, the Maysles and co-directors Ellen Hovde and Muffie Meyer sensibly keep their mouths shut and noses out to an extent, (although you do catch glimpses of them here and there and they give the odd comment) so the film does feel like a true ‘fly on the wall’ documentary. This gives it a voyeuristic quality, but its melancholic and uncomfortable edge set it apart from the sort of celebrity reality shows it likely helped spawn many years later. Like those, it is clear that the two Edies are playing up for the camera though, as mentioned before, so you never feel like this is how the pair behave when they’re on their own. This adds another layer to the documentary though, so furthers the intrigue rather than prevents any ‘truths’ from coming out. 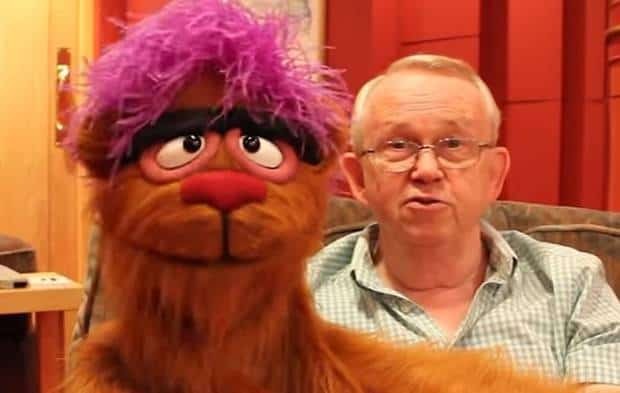 I haven’t given it the highest of ratings due to its meandering nature not fully appealing to my tastes, but it is a bizarrely fascinating documentary with truly unique tragi-comic subjects, so I can see why it has remained a classic for all these years. I’m certainly looking forward to discovering more classics from The Criterion Collection anyway. 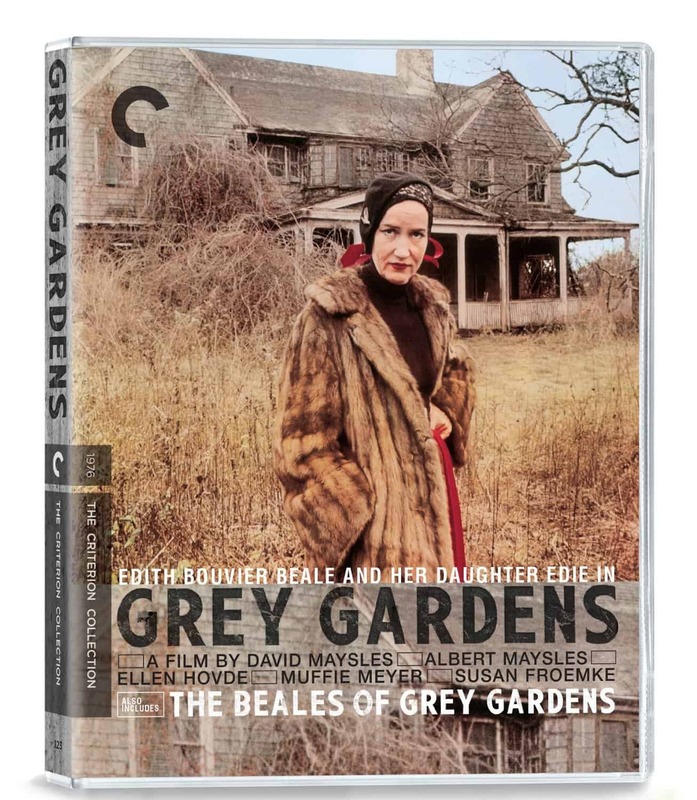 Grey Gardens is released on Blu-Ray on 18th April in the UK by The Criterion Collection. The label doesn’t disappoint in its world renowned reputation for treating titles with the respect they deserve, presenting the film in its original aspect ratio and providing a print which is clean but natural-looking. – The Beales of Grey Gardens, the 2006 sequel to the film. – Audio commentary on Grey Gardens, featuring Albert Maysles and co-directors Ellen Hovde and Muffie Meyer along with associate producer Susan Froemke. – Introduction to The Beales of Grey Gardens by Albert Maysles. – Audio excerpts from a 1976 interview with Little Edie Beale, conducted by Kathryn G. Graham. 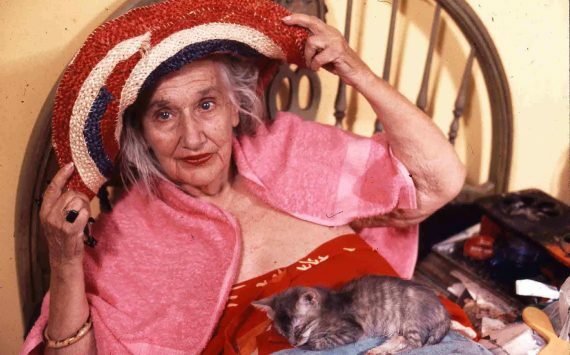 – Interviews with fashion designers Todd Oldham and John Bartlett on the continuing influence of Grey Gardens. – Behind the scenes and family scrap book photographs. 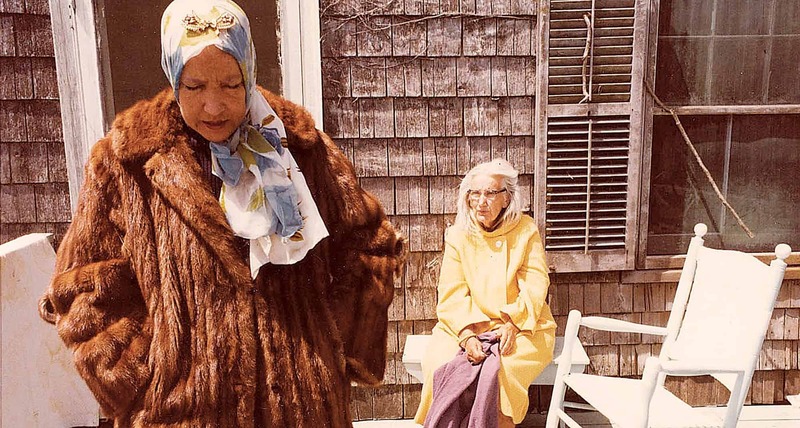 The Beales of Grey Gardens is made up of footage not used in the original film, so acts as a companion piece to it rather than its own entity. It’s still a free-wheeling affair of course, with a very similar feel. I actually slightly preferred this sequel though because it’s a little more fun, with less of the sense of sadness to proceedings. Either that or after watching through the special features and the first film I’d grown accustomed to the pair and enjoyed spending more time with them. Both do feel like the sort of films that will get better with repeated viewings, so maybe watching this sequel was like re-watching the original. Either way, it’s an excellent addition to the package. The commentary is great. The ladies dominate the track and really dig into their thoughts on the relationship between the Edies. It helped me better appreciate what was being shown and what the pair were saying. It actually caused me to up my star rating of the film by half a star because of this (aided by watching all the other features prior to this). The introduction to the sequel is a surprisingly good addition too. Coming in at 8 and a half minutes it offers a relatively substantial look at what brought about the decision to revisit the footage. You also get to catch a quick glimpse of a present day Jerry (or present at the time of the interview, which was recorded a few years ago). The audio interview with Little Edie is interesting as she talks about how happy she was with the film, which surprised me a little. She also spends a lot of time talking about the ‘raid’ which first caught the public and the Maysles’ interest, which isn’t covered in great detail in the film. The two fashion designer interviews give a nice fan perspective, but I’m very much not a ‘fashionista’, so I had only had a passing interest in what they had to say. I’m assuming it comes with an informative booklet too as the US releases usually do, but I only watched a screener so didn’t receive the official packaging. Overall, it’s a fantastic package, offering everything any fan of the film would want to see.